The Sour Flour baguette is a new take on an old classic. The baguette, a traditional French loaf leavened by commercial yeast, has been a staple in Europe for decades. Similarly, it has found fame in America. The baguette is famous for its depth of flavor, crispy crust, and creamy soft crumb. 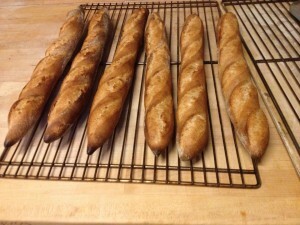 At Sour Flour, we have taken the classic baguette and made it our own by leavening it solely with wild yeast. Leavening with wild yeast gives the baguette a distinct sour flavor that represents the coveted San Francisco sourdough. Our baguette has a crunchy crumb, and a dense center. 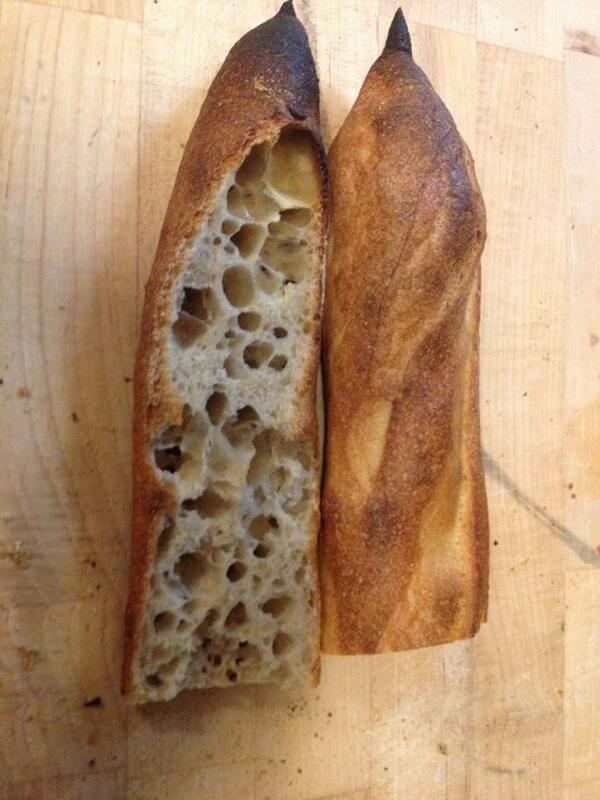 The increase in density makes our baguette perfect for sandwiches, toast, or mopping up the last drops of your soup. The baguette is made using a high-extraction flour; this helps retain the nutritional benefits of whole wheat bread, while also boasting a creamy mouth feel and a crumb with a soft consistency that can’t be beat. Our sourdough baguette is truly one of a kind, and any San Franciscan would be sure to love it.